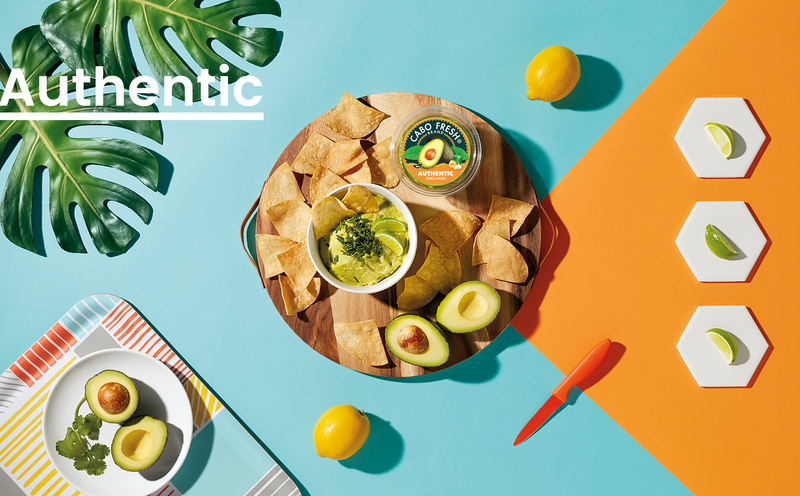 Surf, sun, and the satisfying taste of our Authentic Cabo Fresh Guacamole adds up to flavor and fun.  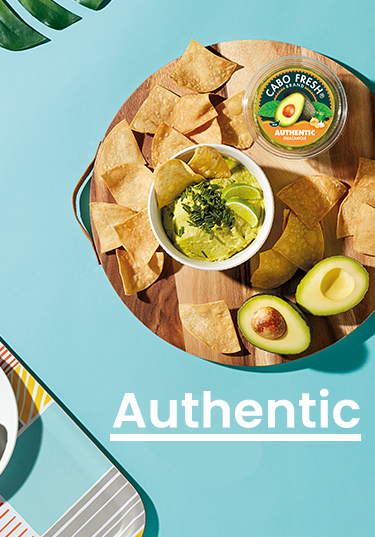 Made from the finest golden-ripe 100% Hass avocados, our chunky Authentic flavor sets the standard for great-tasting guacamole. 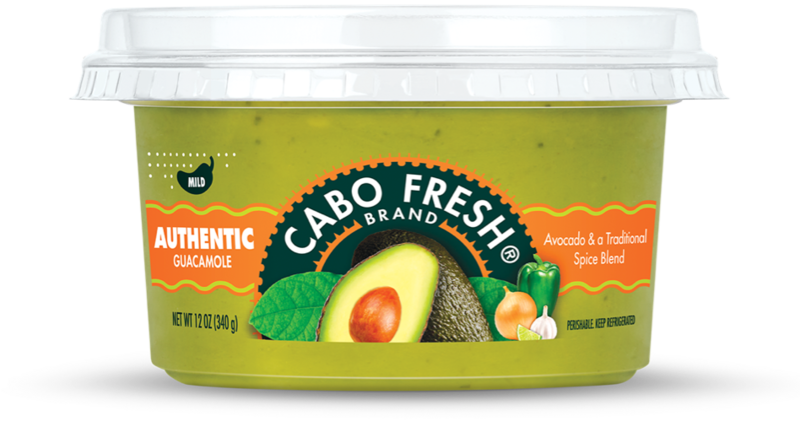 Gluten-free and Kosher, Authentic Cabo Fresh Guacamole is available in 12oz tubs and Single Serve 4-Packs.